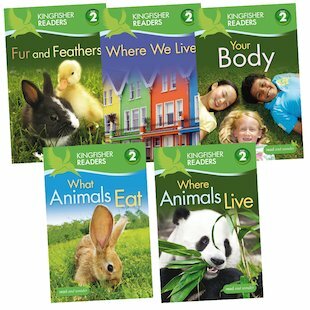 The second step in this delightful new range of graded readers from the non-fiction experts! As Kingfisher brings its expertise in beautifully designed, trusted non-fiction to the sphere of learning to read, young children can explore their favourite topics in more detail in these Level 2 books. Aimed at those who are just beginning to read alone, these visually stunning books feature short sentences, clear and precise natural language, and high-quality, arresting photos which support the narrative flow. Full of things to discover and discuss, they are an irresistible first doorway into early learning.